21st Century Conservation Service Corps Champion of the Year Award. and veterans on public lands. The winners of the 2018 Champion of the Year Award will be recognized 2/13/18 at the annual meeting of the Partnership for the 21CSC (P-21CSC), taking place during The Corps Network National Conference. 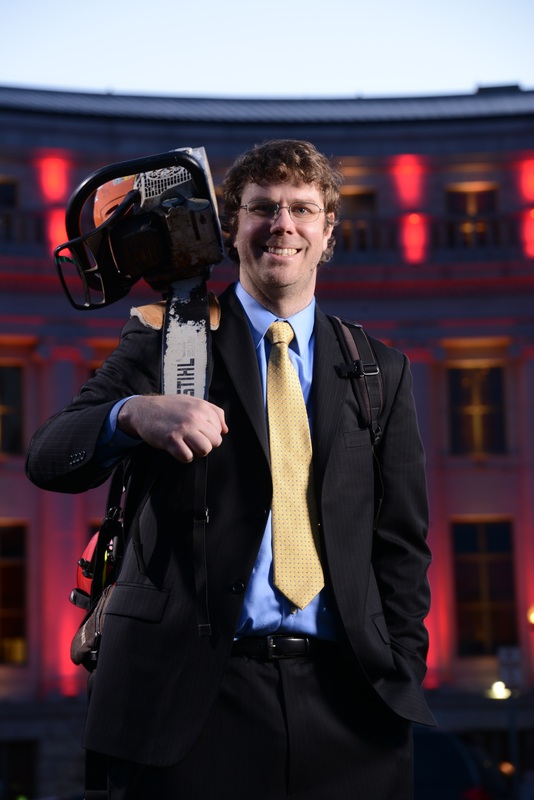 After receiving his graduate degree in range management from Utah State University, Ben Baldwin worked at the university, focused on running an innovative internship program named Tehabi. Tehabi was meant to help connect university students to public land agencies through internships. His time working with interns and agencies helped Ben realize his passion for helping youth discover careers in public lands management, thus landing him a position with the National Park Service (NPS) as a Research Learning Specialist. 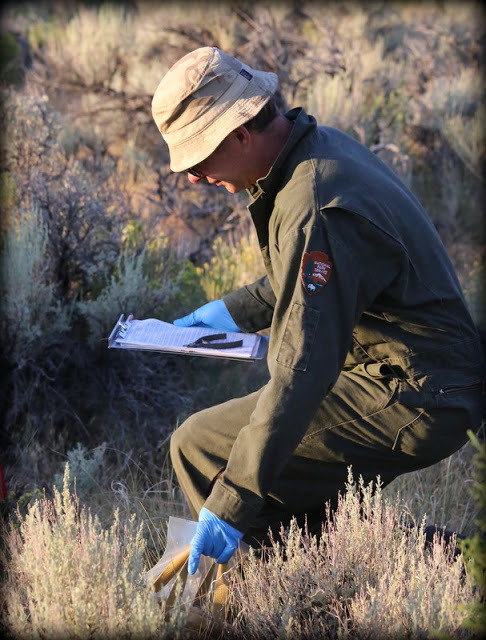 In this position, he engaged youth, helped create career paths, developed citizen science projects and helped NPS connect with their next generation of employees. Ben currently serves as Youth and Volunteer Programs Manager for the NPS Intermountain Regional Office. 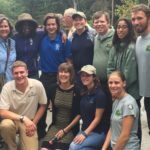 In this role, Ben supports all youth programs in the region, including numerous Conservation Corps, the NPS Youth Conservation Corps (YCC), and volunteer and children’s programs. Ben works with Corps throughout the region to build, enhance and improve programs. Under Ben’s leadership, the Intermountain Region is currently working with over 40 organizations and leads the entire National Park Service for youth employment and engagement, creating national models for tracking and reporting youth hires and projects, developing strong Corps relationships, and innovating in areas of safety, inclusive workplace development, and implementation of the Public Lands Corps (PLC) Hiring Authority. Paul Burghard started his Forest Service career by volunteering with the Forest Service and has worked his way up to Forest Trails Manager, responsible for taking care of all trails for the Tonto National Forest. Paul has extensive experience working with 21CSC crews to foster job skills development and promote youth engagement in trail maintenance, trail construction, and restoration projects. In his collaboration with partners, Paul garnered $902,677 in grant funding, $584,472 in partner contributions, and $169,160 in volunteer value, for a total of $1,656,310 in leveraged funding for sustainable recreation at Tonto in FY 2017. Much of this effort was focused on bringing 21CSC crews to the forest so they could help complete priority projects. In this past year alone, Paul demonstrated creative and effective approaches to planning, funding, and successful implementation of over 30 projects across the forest, leveraging partner contributions and participation to maximize work accomplished. Paul overcomes barriers of insufficient staff and resources by building innovative, multi-layered partnerships with a large variety of conservation groups, non-profit organizations and volunteers to achieve success for forest-users. Paul strives for stellar program management and builds excellent rapport with the public and partners. Alexa received her B.S. in ecology from the University of California, Davis in 2006 and received her M.S. in environmental science from Washington State University in 2011. Alexa joined Coos Watershed Association in late summer of 2013, stepping in as the second Assessment and Outreach Coordinator in the organization’s history. Ed has 15 years of experience working for the State of Oregon, various agencies of the Department of Interior and several universities. He has studied salmon across their range in both the Pacific Northwest and in New England. Alexa and her team are in charge of youth programming, teaching students and community members about watershed science and careers in resource management. She also provides supervision for the organization’s VISTA members. Ed coordinates the research and monitoring of fish species and runs the organization’s Coho Life Cycle Monitoring Internship program. The work done by Alexa and Ed and their education programs through the Coos Watershed Association help achieve the organization’s goal to improve stream habitat and water quality for the salmonids in the Coos watershed. This has nation-wide impact; the many hands of these youth and AmeriCorps members involved help restore endangered Coho salmon populations. The programs Alexa and Ed lead through the Coos Watershed Association are unique in that they seamlessly blend professional development and youth education and mentorship with watershed conservation science. Stephen Carter was raised in Kuwait and Singapore until the age of 14 when he moved back to Ruidoso, NM. Stephen graduated from Ruidoso High School in 1980, going on to attend college in Wichita Falls, TX and Roswell, NM towards a degree in Human Services. In October 2000, Stephen organized a cave restoration project inside Fort Stanton Cave in cooperation with the Bureau of Land Management, Roswell Field Office (BLM) to remove human impact from two miles in the Helectite Hall Passage. In 2003, Stephen Created EcoServants to work in forest stewardship and cave education, restoration and management. This was done while working at a local café as a waiter. In 2005, Stephen wrote his first Request for Proposal to the New Mexico Youth Conservation Corps. EcoServants has had 15 successful summer programs that continue to provide for the youth of New Mexico, along with its nine years of successful AmeriCorps funding. All of this is a testament to Stephen Carter’s drive, tenacity and heart for community. Under Stephen’s leadership, hundreds of EcoServants members have engaged in important restoration, maintenance and improvement projects on public lands. In 2016, Stephen was recognized as a True New Mexico Hero for his work in the community. 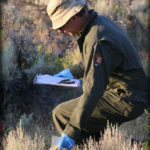 Bryan Hamilton is the wildlife biologist at Great Basin National Park and a Ph.D. candidate in Biology at Brigham Young University. 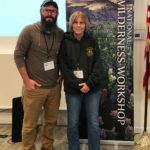 Bryan has worked with interns and restoration crews from Great Basin Institute (GBI) and the Student Conservation Association (SCA) for the last 13 years. He frequently invites members along to field-study opportunities to learn about conservation and wildlife initiatives within the park, such as the rattlesnake monitoring program and the bat catch-and-release project. For more than a decade, Bryan has engaged numerous participants in the direct service programs of GBI and SCA, both 21CSC member organizations. Bryan has partnered with GBI to engage trail and restoration crewmembers enrolled in the Nevada Conservation Corps with meaningful natural resource project work. Under Bryan’s guidance and mentorship, NCC crewmembers have completed a wide range of habitat restoration and fire rehabilitation projects throughout the park, gaining valuable professional and conservation skills in the process. He has developed projects that benefit not only the Park and its resources, but also emerging resource professionals who will one day manage our public lands. As a founding member of the National Association of Service and Conservation Corps, now known as The Corps Network, Ann Harrison has had an extensive career in conservation service. From 1983 to 1994, Ann worked with The Corps Network in various capacities, eventually rising through the ranks to become President and serve on the Executive Committee of the Board of Directors. Ann holds many accolades. She founded the NY Corps Collaboration in 1992 and has advocated for AmeriCorps programs in the Hudson Valley and Adirondacks. Currently, in her role as Bureau Chief of Environmental Education for the New York State Department of Environmental Conservation (NYSDEC), Ann helps provide leadership to the Student Conservation Association (SCA) Excelsior Conservation Corps: a program that annually provides 50 youth and veterans opportunities to gain valuable soft skills, as well as marketable hard skills that will prepare them for careers in environmental protection. In the more than 30 years Ann has worked with New York state, she has been a tireless champion of AmeriCorps, SCA, and the engagement of young adults in conservation efforts. Kevin Hood currently serves as the Wilderness Program Manager for Admiralty Island National Monument (ANM) and the Juneau Ranger District (JRD) on the Tongass National Forest. In this role, he administers the program for four wilderness areas comprising 1.8 million acres. He supervises three crews consisting of eight seasonal employees and leads a robust program involving community partners and volunteers. With employees, partners and volunteers, his sense of purpose and leadership engrains in all a high-level of wilderness awareness and appreciation. Under his management, the team achieved a new level of stewardship through the 10-Year Wilderness Stewardship Challenge. Kevin’s accomplishments throughout his career illustrate his willingness to lead beyond expectations and effect positive change. Kevin oversees a strong and expanding youth conservation corps (YCC) in the community of Angoon, AK, as well as multiple other partnership and volunteer projects. Kevin leads the Angoon YCC in partnership with the Chatham School District (CSD) and the Student Conservation Association (SCA), both current 21CSC organizations. Through these partnerships in fiscal year ‘17, a total of 3,804 hours of service were achieved for an appraised value of $89,622. In a small and secluded community that offers few opportunities, Kevin’s efforts help provide young adults valuable job skills training and career exposure. Elijah Kruger works as an Environmental Educator at Humphrey Nature Center in Letchworth State Park. During his time there, Elijah has helped open a nature center and coordinated programs to inform the public about the center and all the other beauty that exists in the park. His passion for the subjects he conveys is evident and contagious to anyone he comes into contact with. Elijah ensures that the AmeriCorps members in the Student Conservation Association Education/Outreach Excelsior crews are set up for success to complete their jobs. The SCA Excelsior Conservation Corps consists of 50 AmeriCorps members that are 18-25 years old (or up to 28 for veterans). Elijah supervised members from the first Excelsior Education and Outreach crew and went on to guide members through a second season. These members helped Elijah with events in the park and engaged school groups in various outdoor programs. Elijah is keen on having meaningful projects for members as they gain experience through their AmeriCorps internships. Under the supervision of Elijah, members engage visitors with programs such as Leave No Trace Awareness and Plant Identification Hikes. Dawn Meier is the U.S. Forest Service, Eastern Region’s Regional Volunteer, Youth, and 21CSC/Service Program Manager. After graduating from the University of Wisconsin – LaCrosse with a degree in parks and recreation administration, Dawn worked as a crew leader with Wisconsin Conservation Corps. 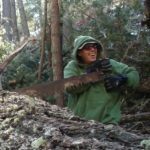 She has worked for the Forest Service for the past 30 years in various positions throughout Wisconsin, California, and Alaska. Throughout her career, Dawn has sought out opportunities to mentor and share her love of the land with others, whether through leading conservation crews, teaching life skills and work ethics, or fostering partnerships and engaging volunteers. Since 2014, over 5,000 youth and veterans (and counting) have been engaged in paid and volunteer service projects across the region’s 15 National Forests and 1 National Tallgrass Prairie. Between 2015 and 2016, 21CSC participation grew by 177 individuals, and in 2017 over 9,000 participants, including paid youth and veterans with 21CSC partners, were engaged in the Eastern Region over the past year thanks to Dawn’s tireless coordination and advocacy. Karen Minner has worked for Delaware State Parks for five years in the Volunteer and Community Involvement office. Karen is a military spouse and was a dependent of a military father. She works closely with the veteran community in Delaware as an advocate for her husband and other veterans in Delaware. She knows the challenges of transitioning to civilian life for not only the veteran, but their family members as well. The sole 21CSC member organization in Delaware, the Veterans Conservation Corps has thrived under Karen’s leadership. While the program started with five members in 2015, they received an expanded AmeriCorps grant just one year later to engage an additional ten members – a distinguished accomplishment for a fledgling program. Dedicated and tenacious, Karen has garnered recognition for the AmeriCorps Veterans, nominating the team for the 2016 Governor’s Outstanding Volunteer Award—which they won—and securing $40,000 in private grant funds to purchase conservation tools and enclosed trailers to increase the capacity of the members’ preservation activities. 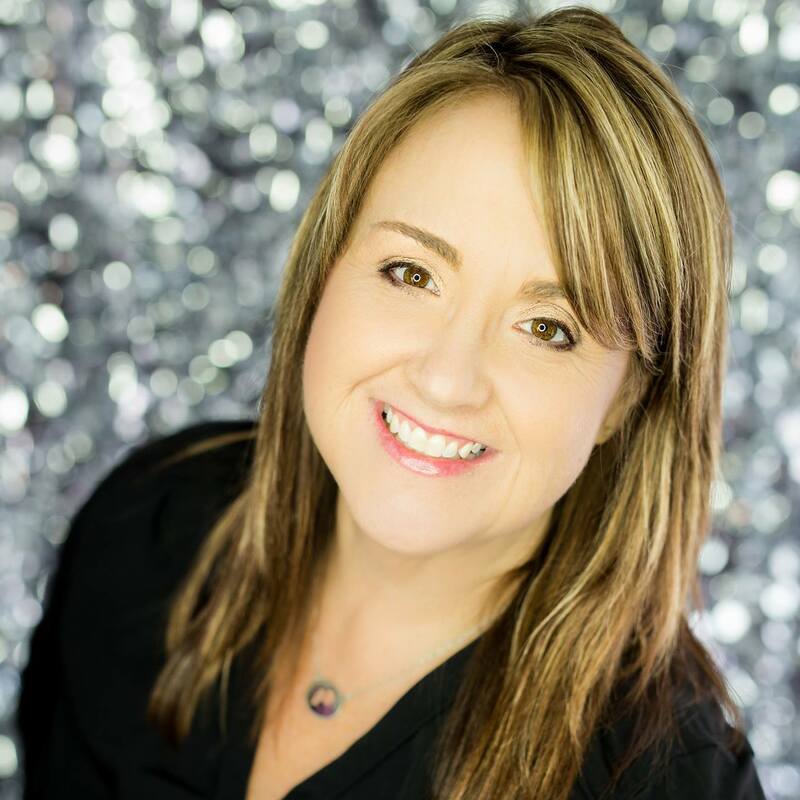 She has helped develop a program that trains members in marketable resource management skills, but also addresses the psychological and social challenges military veterans confront in the reintegration process. Jen Murphy is the Lead Disaster Services Specialist for the Disaster Services Unit (DSU) at CNCS. She is responsible for managing national service disaster response operations, coordinating with FEMA, state emergency management, and other national and local partners. She leads the DSU team in supporting state service commissions, grantees, and national service programs throughout all phases of the disaster response effort. Jen works closely with a wide range of agencies and partners to identify appropriate disaster work for Corps, ensure on-site housing and food assistance for Corpsmembers, find local transportation, and support Corps staff in addressing safety and risk management concerns. She also handles all financial agreements and reimbursements to Corps. 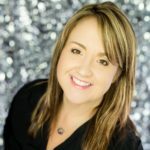 Jen previously worked with AmeriCorps NCCC in Mississippi, where she managed the projects and special events in the Gulf Coast after Hurricane Katrina, helped establish the new campus in Vicksburg, and supported multiple disaster response efforts in the South. Over the years, Jen has worked with numerous Corps to respond to disasters throughout the country. In the past year, Jen and her team have responded to at least four major disasters across seven states and multiple territories, with hundreds of responding members. Kelly grew up in southern Illinois with the Shawnee National Forest (SNF) as her backyard. She began her service as a Youth Conservation Corps (YCC) enrollee in 1976 on the SNF. She later secured seasonal employment as a Recreation Technician with the US Forest Service in 1991, which led to a permanent spot with the SNF as a Forestry Technician in 1995. For 26 years, Kelly worked on recreation, trails, volunteer, and fire projects. 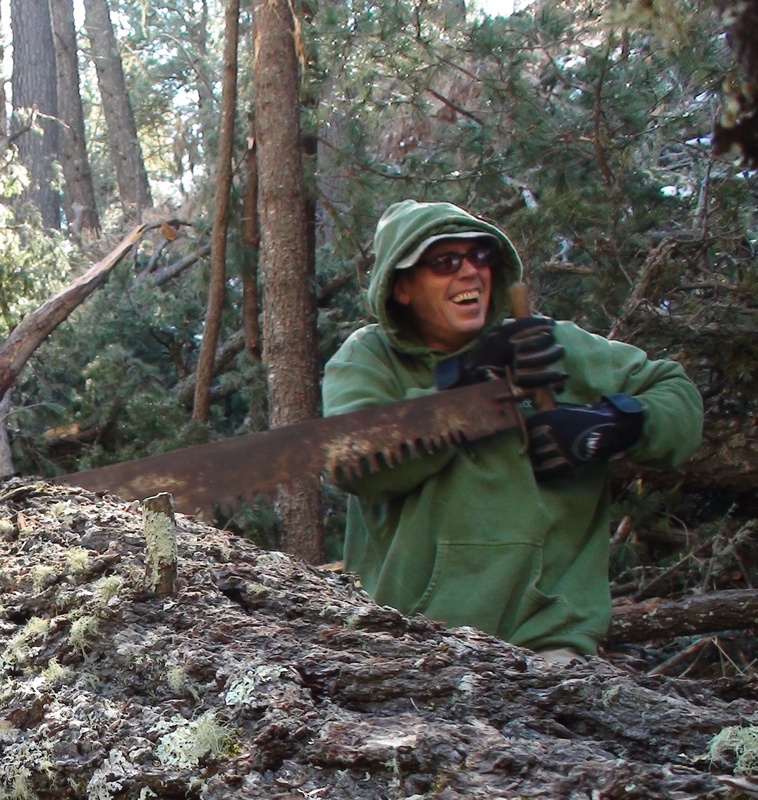 In 2011, she transitioned to her dream job: Wilderness Technician and Volunteer Coordinator. Thanks to Kelly, the Shawnee National Forest now hosts a large number of volunteer workdays and weekends, alternative spring break opportunities for college, high school, and middle school students, adopt-a-trail and adopt-a-trailhead internships, volunteer vacations, youth service opportunities, and trail building clinics. She earned the Forest Service National Volunteer Coordinator of the Year Award for her work. In 2005, Kelly developed a college-level curriculum, Master Trail Steward Program (MSTP), to build the Shawnee National Forest’s capacity and offer consistent training for volunteers. Through this curriculum volunteers are enrolled in a series of Forest Service-led core training classes, including: principles of trail stewardship, trail construction and maintenance, wilderness use and ethics, leadership, working with traditional tools, team building, and back country living skills. Most recently, Kelly has been the critical link in a new partnership between the Shawnee National Forest and Greencorps Chicago. The partnership between Greencorps and the SNF has provided a previously non-existent link between an urban population that has historically been excluded from our nation’s public lands. Lonnie was born and raised in Texas and graduated with a M.Sc. degree in range ecology from Colorado State University. He started his National Park Service (NPS) career at Rocky Mountain National Park in the exotic plant control and restoration program. In 2011, Lonnie accepted a permanent position with Glen Canyon National Recreation as the Natural Resources Program Manager. He works on a variety of projects, including exotic plant control, ecological restoration, wildlife surveys, and endangered species monitoring. 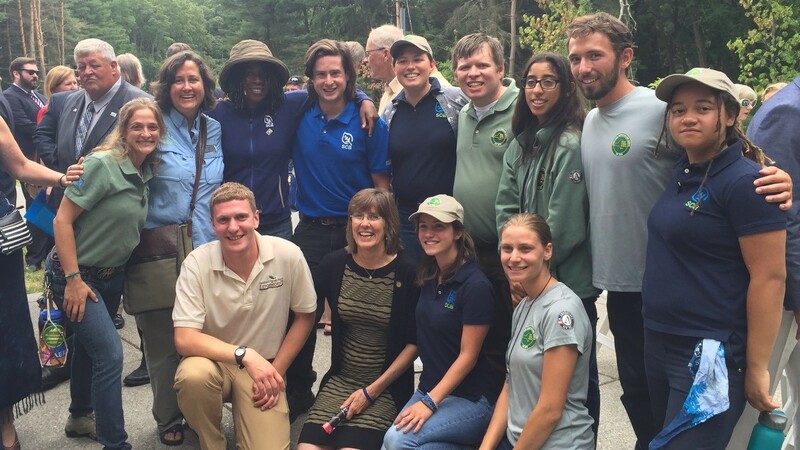 Lonnie has facilitated numerous partnerships and programs to connect diverse youth and veterans to the national parks and landscapes. Since 2012, his efforts have helped provide learning experiences and service opportunities to over 1,000 youth and veterans, including members of the Navajo Nation, Zuni and Hopi tribes. Lonnie has achieved these remarkable goals through developing innovative funding sources and partnerships. He has secured over $500,000 in funding for these youth programs, and has developed over 20 partnerships with a wide variety of organizations, including local, state, federal, non-profit and university partners. Lonnie has put Glen Canyon and Rainbow Bridge National monument “on the map” for many organizations, and has rapidly become a regional leader in funding and supporting diverse youth, veteran and volunteer groups. Throughout all these programs and years, Lonnie has developed an excellent safety record and always emphasizes safety first principles. Moss Rudley serves as the Superintendent of the National Park Service’s Historic Preservation Training Center in Frederick, MD. The Historic Preservation Training Center trains and mentors maintenance workers, preservation specialists and facility managers in the proper techniques to manage historic resources within their parks. Under Moss’s leadership, HPTC partners with a variety of youth serving institutions including Stewards Individual Placement Program, the National Trust for Historic Preservation HOPE Crews, and Architecture and Community Heritage. Moss Rudley teaches valuable trade skills in carpentry and masonry, but he also exposes young people to the importance of historic preservation on public lands. Since 2015, Moss has facilitated 76 Historic Training and Preservation Internships through Stewards at HPTC. Seven Stewards Alumni were hired as NPS employees at HPTC. In 2017 Moss created the Traditional Trades Youth Initiative. This project engaged nine members for 20 weeks. The initiative exposed youth to preservation trades through trainings conducted by master crafts-men and women. In addition to craft-related training, the members were also taught important life skills, such as employee responsibilities, workplace ethics, and personal financial planning. The 2017 program has been so successful that Moss has been able to leverage additional funding for a significantly larger 2018 program. Scott Segerstrom entered the Corps sector with Rocky Mountain Youth Corps as an assistant Crew Leader in 2002. He spent four seasons leading Conservation Corps crews in Utah and Colorado before joining the Bridger-Teton National Forest as a Wilderness Ranger and Wildland Firefighter. He returned to the Corps world in 2010 as a Director with Rocky Mountain Youth Corps before joining Colorado Youth Corps Association (CYCA) as an Associate Director. He now serves in the role of Executive Director. In his role with the association, Scott collaborates with partners to streamline the process of deploying youth, young adults, and veterans on public land statewide. CYCA also manages the largest AmeriCorps grant in the state, awarding hundreds of Education Awards annually to open the door for members to afford higher education. Scott continues to be on the forefront of engaging the next generation of conservationists on public lands and is a shining example of how Corps service can shape and influence a career. He works to increases financial resources for Corps and promotes Corps through legislative advocacy and strategic communication. 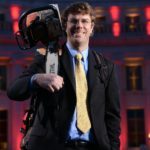 In addition, Scott creates high-quality educational opportunities and networking for Colorado’s Corpsmembers and staff. He spearheaded the Careers in Natural Resource Initiative, which is a statewide network of more than 330 individuals representing 110+ government agencies, non-profit organizations, higher education institutions and for-profit businesses, all working to create stronger pathways to engage youth in natural resource careers. 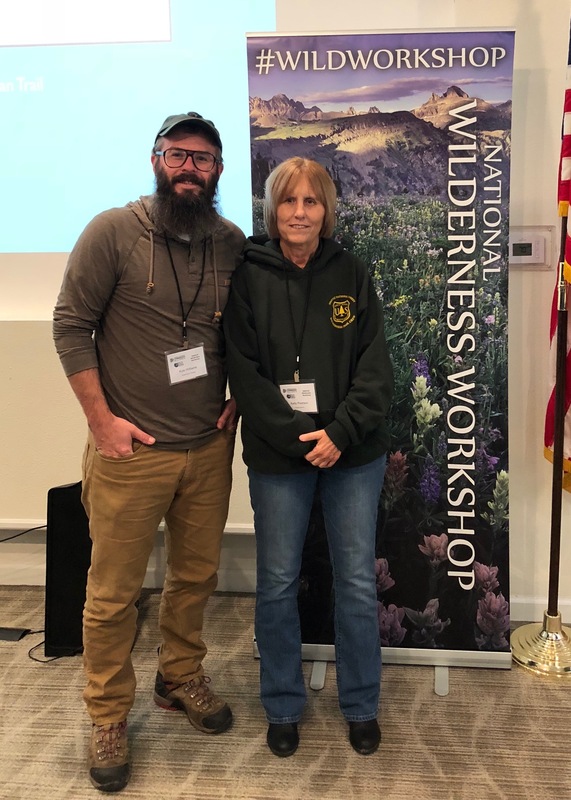 Betsy Wooster joined the Bureau of Land Management (BLM) in 2001 after working as an education specialist for The National Geographic Society and National Wildlife Federation. Betsy took BLM’s youth program from it’s infancy to a fully developed program with consistent implementation across the bureau. Under Betsy’s leadership, the Bureau of Land Management partnered with more than 30 21CSC organizations to provide work and training opportunities for nearly 2,200 young people in 2016 alone. Betsy has worked with partners to provide work and education opportunities for thousands of young people and veterans annually. Betsy has identified and developed systematic ways to ensure that young people are engaged in addressing BLM resource priorities by developing innovative programs and materials to maximize the effectiveness of BLM youth programs. To do so, she created a national network of BLM youth coordinators, and supports them through the complex tasks associated with federal employment rules and creating successful partnerships. Thanks to Betsy’s coordination, BLM’s youth hiring program is well established, hiring nearly 4,500 youth each year. She has been instrumental in developing partnerships with organizations such as the National Fish & Wildlife Foundation, which allowed the BLM to leverage $2 million in non-federal funds to support conservation projects engaging youth. Jim grew up in the Wisconsin, without a real understanding of public lands or the possibilities of a career in the outdoors through public service. He had a life-changing experience when he served as a Student Conservation Association (SCA) intern at Mount Rainier. This summer experience opened his eyes and heart to an entirely new world. Now, as the Roads and Trails Foreman at Mount Rainier, Jim has been a tireless advocate for conservation stewardship programs supporting youth and young adults. He regularly prioritizes funding to engage programs serving diverse youth and young adults in the park, and hires and trains his maintenance staff to not just get the work done, but to also support youth conservation service programs. Just this past summer, Jim and his team oversaw work with multiple 21CSC member organizations, including Washington Conservation Corps, SCA, and Northwest Youth Corps, as well as the Park’s Youth Conservation Corps (YCC). Each of these organizations engages different populations with different needs and levels of experience; Jim works to ensure all participants have a meaningful experience. Jim represents a park that is extraordinarily welcoming of youth conservation service partnerships, and regularly prioritizes the often-inadequate trails budget to make sure that they are able to serve two highly important purposes: getting important work done to ensure that the resources of the park are both protected and available to the public, and investing in the next generation of park stewards. This entry was posted in 21CSC Champion of the Year on December 11, 2017 by Hannah.